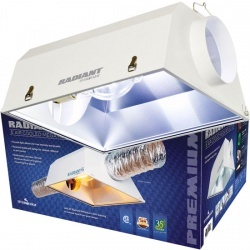 Quality grow lights and accessories are an essential part of growing indoors. Wet offer very good quality refurbished and used grow lights for cultivation. 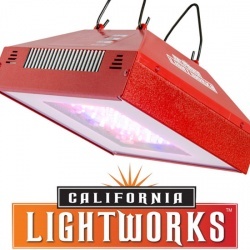 Shop LED grow lights and save money! Replacement bulbs for all your lighting setup. Inventory will vary. If you want a very specific model that we don't have in stock, contact us and we'll see what we can do. 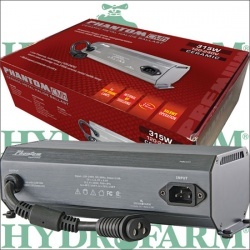 Hydrofarm’s Phantom Ballast includes Smart Alert Technology which utilizes multiple status codes to keep your setup running smoothly. Completely silent, energy efficient and totally reliable. Ships complete with a “Universal Reflector Adapter” (accommodates lamp cords from most manufacturers). Give your indoor crops the next best thing to natural sunlight. The Phantom CMH Ballast is compatible with 315W ceramic metal halide lamps and is equally effective for both vegetative and flowering growth. Includes an 8 ft. 120V power cord. 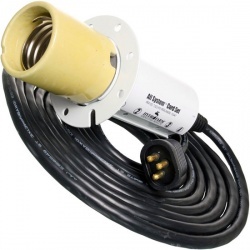 Designed for optimal performance, the All System Cord Set works with all Hydrofarm reflectors and ballasts (any wattage). No external reflector brackets required — patented mounting disc adjusts each bulb for maximum reflectivity. 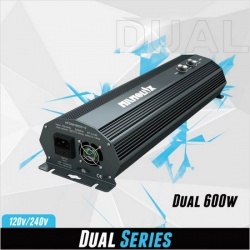 The Nanolux Dual Ballast offers one hub for two 600w lights, making more room in your indoor operation while reducing your overhead costs. Dimensions: 402 x 184 x 87.4mm / 15.8 x 5.2 x 3.44in. The SunPulse Splitter turns ONE 1000W Core & Coil magnetic HPS ballast into TWO 600W lamps. Note: As a built-in safety feature, both lamps will turn off if one lamp goes out for any reason. 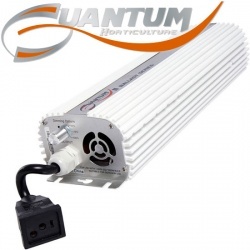 Achieve great performance and longer lamp life with the Quantum Ballast. 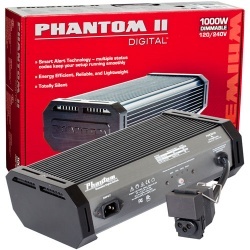 Offers digital circuitry, 400W, 600W and 1000W power and reliability at a value price. 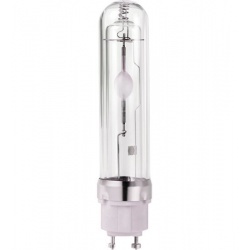 High intensity discharge (HID) Conversion Bulbs make it possible to run a metal halide (MH) lamp from your old school high pressure sodium (HPS) coir and coil ballast. Makes it easy to customize your light source to the growth stage of the plant. 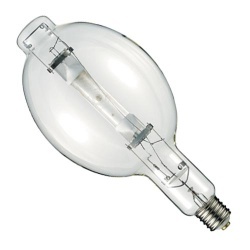 The MAXPAR Ceramic Metal Halide (CMH) Bulb provides excellent PAR value per watt and more energy in the ultraviolet range. These energy efficient HID systems can be used as primary vegetative lights, or as supplemental full spectrum lights for large flowering operations. 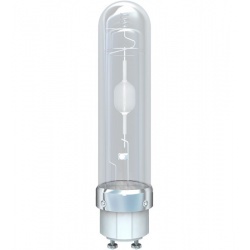 A High Pressure Sodium HPS Lamp operates by igniting a mixture of gases within a sealed ceramic arc tube. 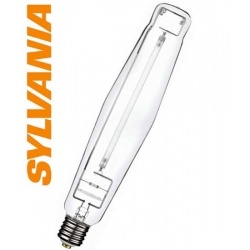 This high efficiency bulb radiates energy in the yellow-red-orange regions of the spectrum to stimulate flowering and fruit production. 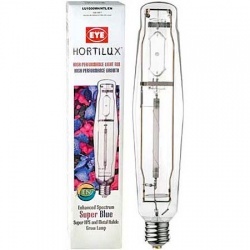 The Hortilux Super Blue Dual Arc combines the best high pressure sodium (HPS) and metal halide (MH) technology all in one grow lamp. This combination provides the perfect light for healthy plant growth — produces more compact plants and encourages vigorous flower and fruit production. Made in the USA. Harness the power of the sun with Hortilux Blue. These metal halide (MH) grow lights are designed to produce high quality, healthy looking plants during all phases of vegetative growth. The exclusive chemistry in these bulbs provides ratios of red, blue and green spectral energy that better meet the needs of plants compared to other brands. 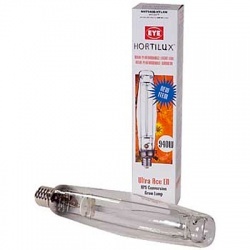 Hortilux Ultra Ace high intensity discharge (HID) conversion bulbs make it possible to run a high pressure sodium (HPS) lamp from your old school metal halide (MH) coir and coil ballast. Makes it easy to customize your grow light source to the growth stage of the plant. Made in the USA. The Philips GreenPower 315W Elite Agro CMH Lamp gives growers a compact lighting solution in a high-performance, long-lasting package. After 20,000 hours of use, this ceramic metal halide (CMH) bulb still puts out 85% of the maximum Photosynthetic Photon Flux (PPF)! 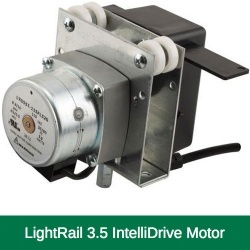 The Gualala Robotics 10 RPM Light Rail 3.5 Motor (LR3.5ID9) travels 4 feet per minute and has a 0 to 60 second adjustable time delay for pausing the indoor light at the ends of its travel. Works with all reflectors up to 35 lbs. 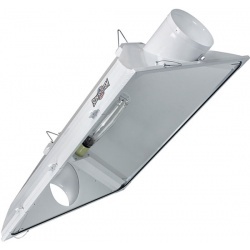 With the Sunlight Supply Epic 8 Reflector, you’ll have the power of a 98% reflective surface to make every watt count. The 8-inch cooling ducts and bolstered sealing points give the system cool, solid performance. • Your plants will soak in the light with a 98% reflective “Silver” German aluminum interior. • No gaps in this cooling system. Sealing is completely tight with a double-gasketed glass lens, captured thumb screws and locking mechanism. • Safety feature prevents the glass lens from releasing from the hood. • Convenient integrated socket and 15-ft. lamp cord. Commercial Freight ONLY — Will NOT Ship FEDEX or UPS Ground. Call us for a quote. The Radiant 6 Air Cooled Reflector by Hydrofarm is a “super-sized” air cooled lensed fixture with built-in 6″ flanges for straight through temperature control. Looking for full spectrum LED grow lights? If so, California Lightworks SolarFlare Full Cycle is for you. Incredibly energy efficient, it offers a balanced range of light — all from one fixture. Equipment details: 220W, shipping weight 9 lbs. 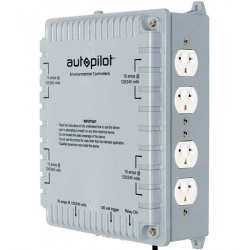 Operate up to four ballasts from one device with the Autopilot 4 Light Controller. Each of the outlets in these timer boxes are wired directly to 120/240V power, and controlled by one 120V trigger cable. • Four 120/240v outlets for running ballasts — no need to change out power cords! The C.A.P. 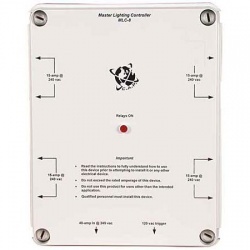 MLC-8X, MLC-8XT and MLC-8DX Master Lighting Controllers are the best devices for controlling up to eight 1000 watt HID lights from one time-clock or controller. You run 40 amp, 240 volt power into the MLC-8, and all of the outlets are controlled by one 120 volt trigger cable. You can plug the trigger cable into a standard 24 hour timer, environmental controller or one of the C.A.P. HLC series of garden and lighting protection devices. The MLC-8X, MLC-8XT and MLC-8DX have eight 120/240 volt style outlets which allows for running your ballasts at 120/240 volts without having to change out your ballast power cords. The MLC-8XT has an integrated timer that allows you to control your MLC with the built-in time clock. The MLC-8DX has dual trigger cables to split 2 series of 4 lights. The MLC-8X’s are rated for 40 amps @ 120/240 volts. Made in USA. 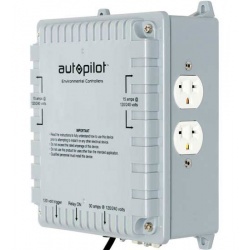 Safely run up to eight ballasts from one device with the Autopilot 8 Light Controller. Each of the outlets are wired directly to 120/240V power and controlled by one 120V trigger cable, which can be plugged into a standard 24 hour timer. 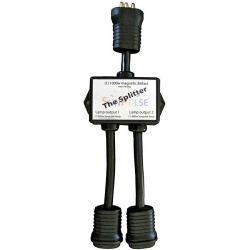 • Eight 120/240V outlets for running ballasts — no need to change out power cords!